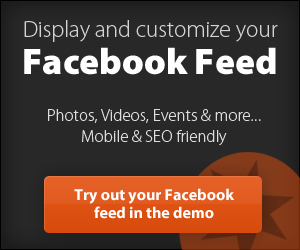 The Custom Facebook Feed allows you to display a completely customizable, responsive, and search engine crawlable version of your Facebook page or group feed on your own website. No more ugly iframes! Super simple to set up and tons of customization options to seamlessly match the look and feel of your site. More Info ….